It’s no secret that Bioware’s Edmonton studio is working on a new IP and some new details about the studio’s huge ‘Destiny-like’ title have allegedly emerged. 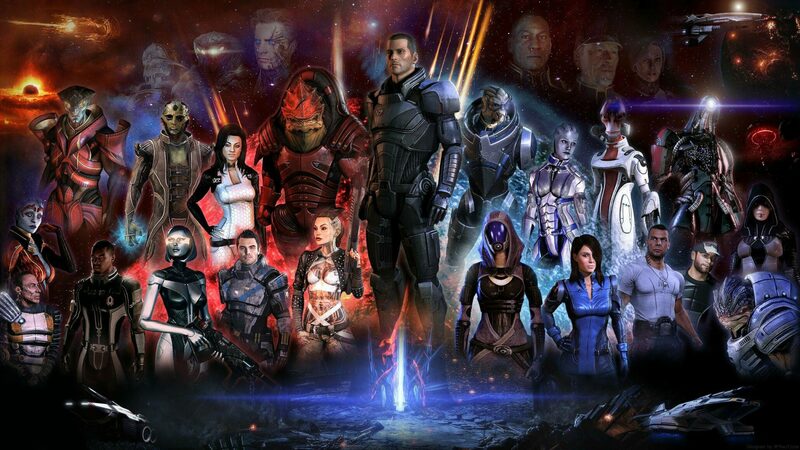 At this point, the game has been in the works for roughly four years, and BioWare first teased the new IP during the E3 of 2014. Well-known gaming journalist and gaming researcher, Liam Robertson, now claims to have new information about the new IP. Robertson spoke about Bioware’s new title during his Patreon podcast, which only backers can listen to. Luckily, IBTimes UK backed the podcast and wrote down Robertson’s comments. While not entirely sure, the new IP is named ‘ Dylan’ at this point and Robertson believes this name relates to the game’s main character. ‘Dylan’ is said to be a ‘Destiny-like’ sci-fi themed game with elements from Ubisoft’s The Division. Larger than the recently release Mass Effect Andromeda, ‘ Dylan’ allegedly is BioWare’s largest project to date. “They’ve been quiet about what their new IP is for a good while,” Robertson says. “This is a project that’s been in development for around four years, it’s currently set to be revealed at E3 2017… I don’t know if they’ve said this publicly, it’s set to come out next year. “Dylan is, from what I understand, a sci-fi themed game, it is sort of Destiny-style, takes some elements from The Division, it has like MMO elements. Someone described it as a ‘semi-MMO’. I don’t know much more than that… it is a huge scale project, perhaps the biggest BioWare has ever done. It’s bigger than Mass Effect Andromeda, considerably so. It will have co-op. “From what I understand… I’m not 100% sure on this part… all the rest I am 100% sure on. It’s like, triple sourced, rock solid information. If correct, expect an announcement during this year’s E3 event. What are your thoughts about this new IP? Hit the comments below.